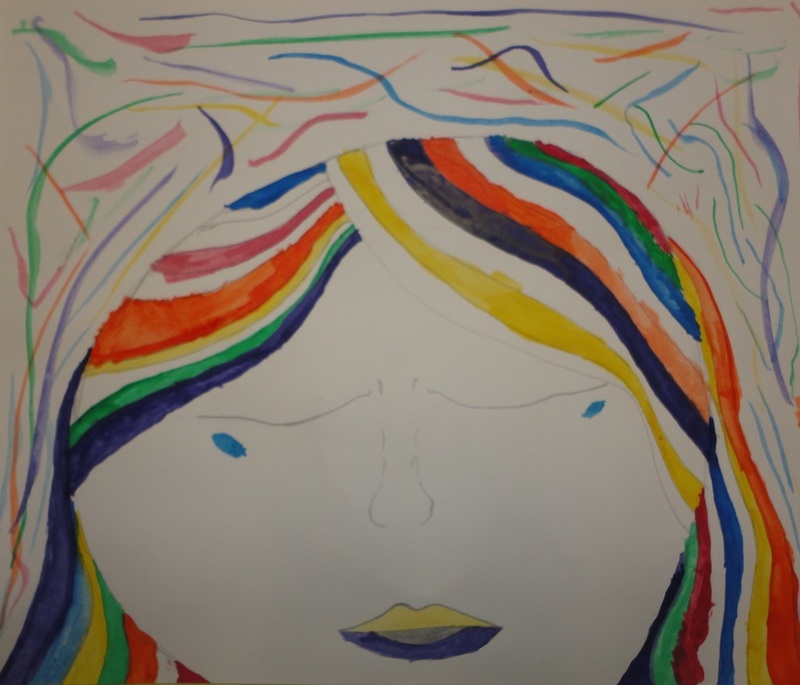 ​Using color, line, and symbolism, students created pictures that illustrate a feeling or an emotion that might be felt on the first day of school. Can you guess the feeling or emotion that goes along with the projects below? In September we have completed creating sketchbooks and portfolios that will be used in class throughout the semester. We then created a four letter word project that represented each student. The students decorated each letter focusing on the Elements of Design. Below are some examples of our finished projects. 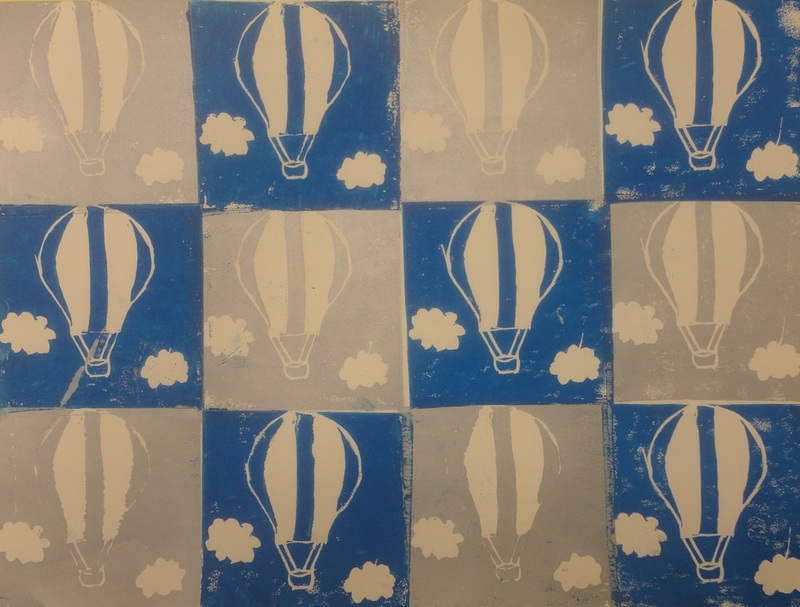 October is all about printmaking in the 7th grade art classroom! 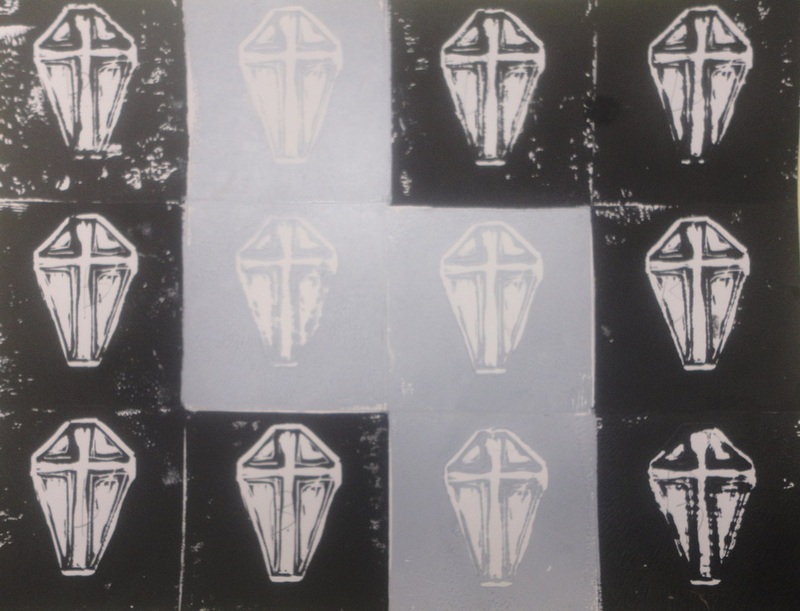 We have created monotype prints from water-soluble oil pastels, and linocut prints. Currently we are working on a mixed media collage using a variety of different printing techniques. 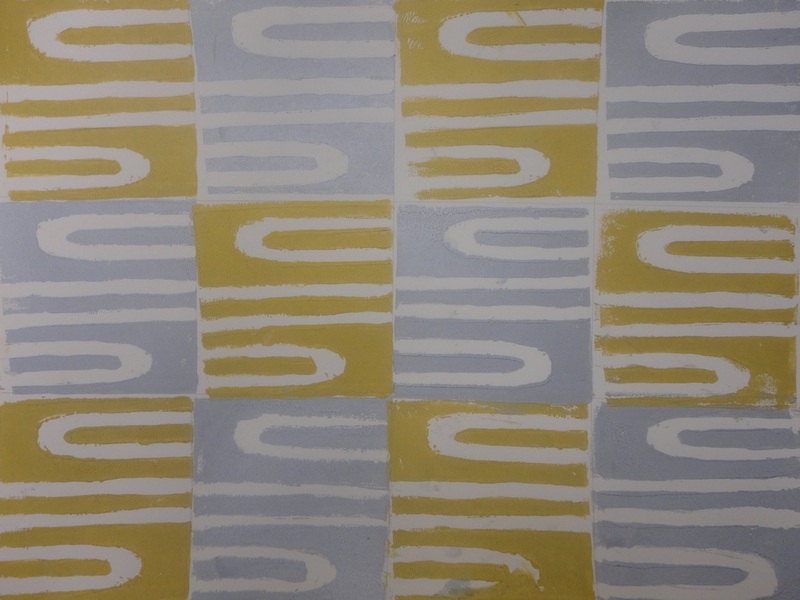 Below are some examples of our monotype prints and linocut patterns. Stay tuned for photos of our mixed media printing collages! 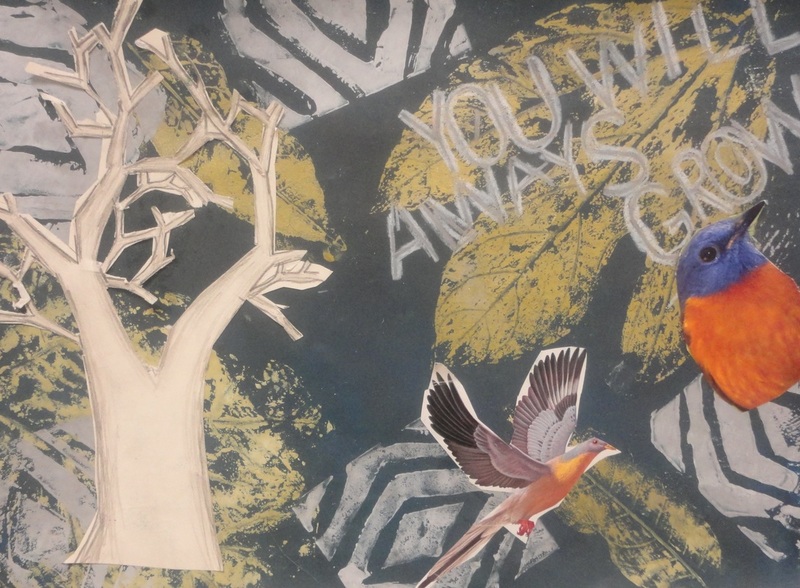 ​During the month of November we have been working with texture, printing, and created mixed media collages that incorporated a text of the student's choice. Below are some examples of their work. This month we have been working on shading with value and drawing. We practiced shading by drawing candy. Below are some examples of our shading skills. We will use these skills in our next project! We have also just completed our clay project! They have turned out great! The students created boxes with the slab method. They added lids with an object that represents the student. Examples are below. Our final project of the semester was to create a sculpture using recycled items. We studied Louise Nevelson to help us gain our inspiration. Examples of our recycled work can be found below.